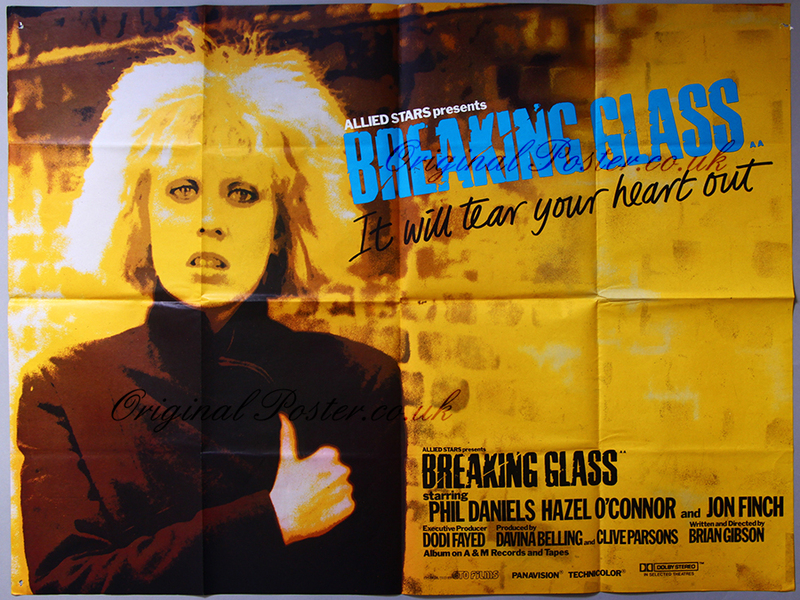 Film Star Hazel O'Connor, Phil Daniels, Jon Finch, Paul McCartney, Rod Stewart. Details Singer Hazel O'Connor wrote all the songs and hit the top ten with "Eighth Day" Life seemed to imitate Art although Hazel did appear in "Car Trouble" five years later. Enlarged pinhole in each corner.